This blog post was prompted by a December 2015 blog post from Seth Godin that I tucked away for inspiration, called, "Is it too little butter, or too much bread?" Here is the gist. When is the last time you complained about having too many resources in your business? Too many engineers, too many clients, too much revenue? Let me guess. The answer is probably never. It is always the opposite. The engineering plan for this year to too expansive – we don’t have enough...fill in the blank – time, money, people. And so on. I love Seth’s accusation – he probably wouldn’t use that word – that “spreading our butter too thin is a form of hiding. It helps us be busy, but makes it unlikely we will make an impact”. 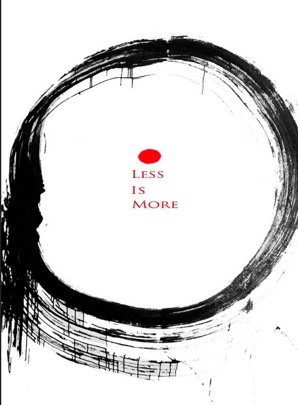 The EOS philosophy we imbue in our clients is that less is more. That you must go slow to go fast. Focus, focus, focus. Here's something you can try immediately. Decide on just 3 to 7 major plans for the year – closer to 3 is better. Then agree on just 3 to 7 objectives for the company in the calendar quarter you're in and make them happen. In fact, don’t just agree to make them happen, agree that regardless of who owns the objective among the leaders, you will all make sure that they all get done, even if it requires sacrificing some budget or staff time from your resources to help the owner of the objective. If you are not already doing this, try it. Look at your annual plans. If they're overwhelming, force yourselves to do the hard work of prioritizing the list and just picking the 3 to 4 most important, most impactful for this year’s results and/or the ones that will set you up for an even greater 2017.